We’re off the The Lakes!! Emma and I always go away in January. It’s cheaper than going away during the summer, there are no kids about and Emma works all over Christmas so it’s a good time for her to recharge her batteries. Once again, we’re off to the Lake District for the 4th time in 5 years, Hawkshead for the third time in three. If you’ve never been to The Lakes, you must go. There’s no more stunning a place I have ever seen. Every corner you go round on their fantastic roads, you’ll see a different thing. 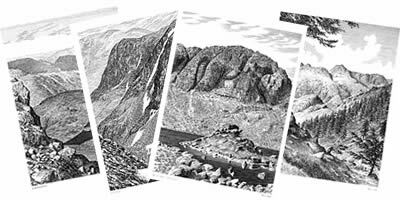 It may be a deep valley, large lake, small tarn, high waterfall, one of England’s highest mountains or that pub you knew was around there somewhere, you just weren’t sure where. Once you get out of your car, of course, there is some fantastic walking to be found. More on that later. Hawkshead itself is a fantastic place for a holiday, especially at this time of year. There are 4 pubs all within a 2 minute stroll of each other, ideal for when the nights come early and the weather’s cold! Log fires and real ale abound. The place is packed full of little stone streets and wonky cottages, there’s a lovely church, a co-op, a few outdoorwear shops and a couple of eating places. It’s a bit of a honeypot town in the summer but you really get to enjoy the place in the winter when there’s less people around. The pubs can get fairly busy even at this time of year so I wouldn’t like to think what they’re like in the summer. Just down the road is Grizedale Forest, a place with walks for people of all abilities. Emma and I usually do one or two of the walks during our stay (I’m trying to persuade her to do the longer one this time round… she’s not having it!). The walking is the main thing we go away for. This Christmas, I bought Emma a collection of Wainwright’s Walks. We had a go at Catbells last year but the weather was pretty poor, it was quite misty and Emma really didn’t fancy the full walk. We got most of the way there, though. So, Emma’s task is to look through the books to find walks she likes the look of. 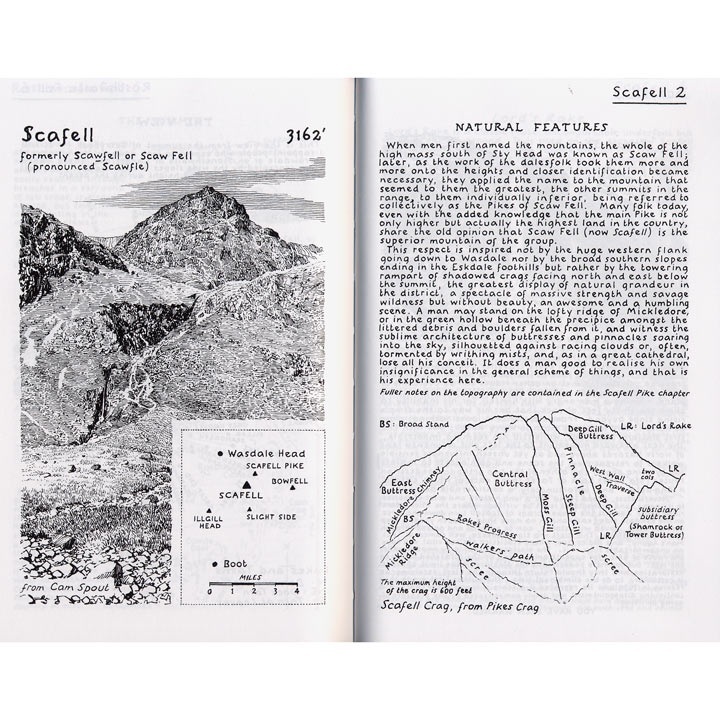 If you’ve never heard of Wainwright’s guides, they’re handwritten, hand-illustrated guides to walks on each of Lakeland’s fells. They’re very detailed and although they were originally written some time ago, the version’s Emma’s got are up-to-date with current paths and sights. Also, he explains what you can see from the summit of each fell, which is great. Despite the fact we’ve been going for years, I still can’t tell which fell’s what and I often cannot tell which lake is which, from a distance. I’m sure I’ll be putting a few photos of the holiday on Twitter, as we go along. Follow me at @scottbrown_14 if you like, I’ll try to make you jealous! Looks like we’ll have to get any serious stuff done early in the week, though. I can’t wait to go, now. Just half a day at work then that’s it! There's little or no chance I'd ever refuse permission for you to use something from this site on yours, but please ask. I'd love to know where my words or pictures are going.